phenomenon which many a bettor may use in their assessment when gambling. Ellen Langer named this psychological effect as the illusion of control. It is a tendency for people to overestimate their ability to control events even when it can be demonstrated they have no influence at all. It is a behaviour often seen in gambling and known as one of the positive illusions. This cognitive bias can also be seen within illusory superiority with regard to intelligence, performance on tasks and tests, and the possession of desirable personality traits. This phenomenon is studied in social psychology. The illusion is more common in familiar situations where the person knows the desired outcome. If a player of craps is initially successful this feedback is likely to increase the effect, while failure may decrease or reverse it. This resembles irrational primacy effect in which people give greater influence to information that occurs earlier in a series. In stressful or competitive situation the illusion strengthens control especially when there is an emotional need to an outcome. Intriguingly, this confidence is overestimated in games determined by chance but individuals often underestimate their control when they hold an advantage. 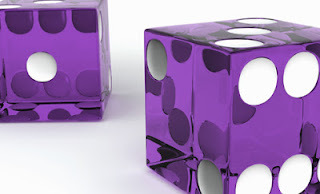 Langer's research demonstrated that participants are more likely to throw a dice harder when they need a higher number and softer for lower numbers. This study has been replicated with lottery tickets. Participants who had chosen their lottery ticket were more reluctant to part with it even when they could trade it for another with a higher chance of paying out. They were also less likely to swap tickets if they had familiar symbols ( lucky numbers, birthdays etc). It is important to remember that these tickets - although random - were instrumental in the behaviour affecting their win chance. Langer explained her findings in terms of confusion between skill and chance situations. In essence, participants' judgements were based on ''skill cues'' and made all the stronger when associated with games of skill. However, Suzanne Thompson proposed that judgements about control were based on an intention to create an outcome and a relationship between the action and outcome. This can be seen with playing slot machine where there is an intention to win but also an action by pressing a button. This control heuristic could be seen with the old-style one armed bandits which a player would change their style with regard to a given ''need'' (I'm always lucky when I do this behaviour...) The self-regulatory theory suggests we cope with a lack of control by falsely attributing self control of the situation. Taylor and Brown argue that positive illusions are adaptive as they help motivate people to persist at a task when they might give up. In fact, optimistic self-appraisals of our capability can be advantageous but only in situations where control is possible.